Dental patients in Richmond, VA look more youthful with dentistry that rejuvenates the smile and the entire face. 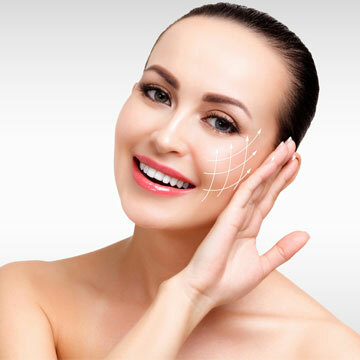 This form of bite correction goes beyond cosmetic treatments, avoids the risks of facelift surgery, and does not require braces. It improves appearance and boosts self-esteem by addressing underlying issues that cause facial aging. Did you know that repositioning the jaw has a powerful impact on the shape of your face? Most people (including many dentists) do not realize this; however, non-invasive bite correction can dramatically influence chin size and facial profile – without surgery, dermal filler injections, or pain. Dr. Oliva Hart uses this technique to achieve ideal (or as near as possible) bite and jaw position, with tremendous anti-aging results that are also long-lasting. It is important to understand that rejuvenating dentistry is not limited to restorative treatments such as dental veneers or “facelift dentures.” Dr. Hart utilizes advanced imaging technology, digital X-rays, and impressions to evaluate current jaw position and show you how treatment will affect facial shape and profile. Then, imbalances are adjusted using innovative techniques and porcelain restorations. Treatment generally requires just two visits, often without numbing. There is no need to grind down healthy tooth structure for these “no-prep” restorations. Contact Dr. Olivia Hart of Richmond Family Dentistry to find out how dentistry could help you look younger. Click here to make an appointment now or call (804) 381-6238 to learn more.